Irishman Conor McGregor went from collecting a little less than $250 per week to being paid thousands for fighting in the UFC, and now he’s shipping up to Boston. 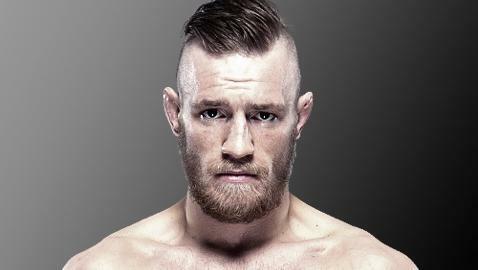 UFC president Dana White – who prior to a recent trip to Ireland knew little of McGregor – said the Irishman went a long way towards securing a spot on the UFC’s next trip to Boston, which kicks off the launch of Fox Sports 1 on Aug. 17. McGregor’s knockout of Marcus Brimage at 1:07 of their fight in Sweden on Saturday certainly won his UFC boss over. “The answer is yes,” answered White, prior to the question even being posed. “You're gonna ask if we're gonna put McGregor on (the Boston) card. “I'm blown away,” he added. “First of all, it's his first fight ever in the UFC; he walks out tonight and got in the Octagon like it was his hundredth fight in the UFC. About the only time that McGregor did seem blown away was at the post-fight press conference, taking a look back at the recent change in his financial situation. The fight didn’t faze him, but his finances left him a little dumbfounded.